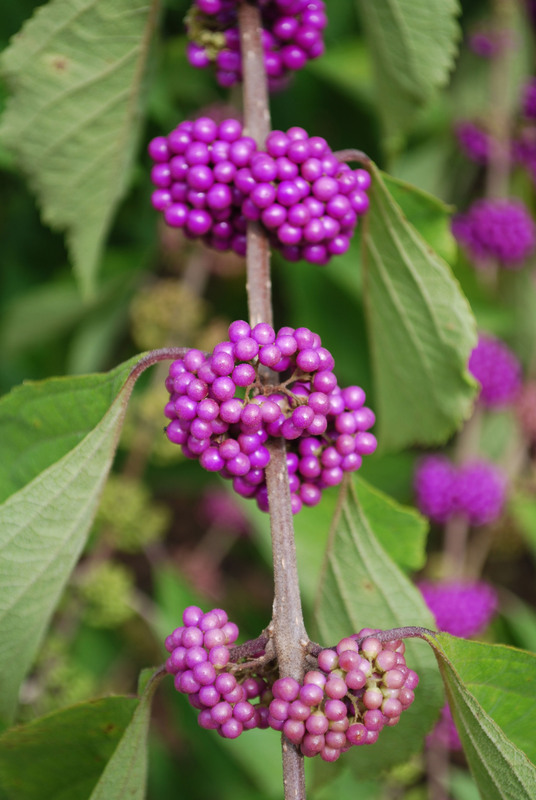 I’m very fond of using fruiting ornamental plants in the landscape. Often, they pack a one-two punch of interest: colorful autumn leaves and gorgeous fruits. Sumacs, hollies, cotoneasters, crabapples, and viburnums are ey e-candy for us and a food source for wildlife.